Memo's diagnostic area is its outsole and heel. They are divided into six numbered zones with cambered stripes. After wearing Memo shoes, it is possible to access the degree of stripes abrasion. Depending of which zone is worn out insoles can be selected to correct the problem. This abrasion can also be very valuable information for you Doctor, Consultant or Physiotherapist. 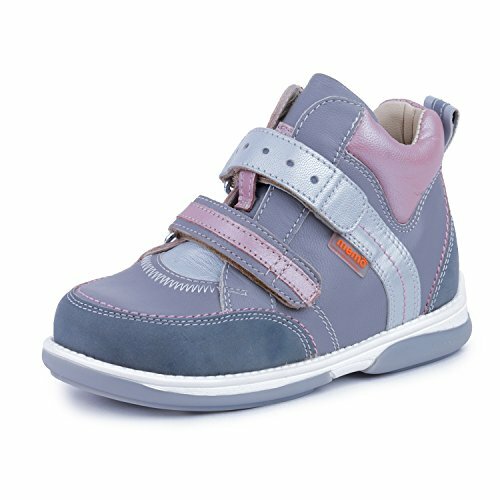 After a correct insole is selected it is advised the child should wear the Memo shoes as often as possible. The period of use for Memo depends on the child's age and intensity of the problem. Memo shoes were evaluated by doctor of medicine Anna ?ukaszewska - pediatrist, medical rehabilitation specialist - Head of Pediatric Rehabilitation Clinic in The Children's Memorial Health Institute. Published opinion confirms that Memo diagnostic footwear has positive influence on the child's foot growth and posture development, corrects foot complaints and simplifies rehabilitation process of children with functional defects. Diagnostic Memo System is well known among pediatrists and orthopaedists. It is particularly recommended for the defects prevention and correction of existing abnormalities/deformities. Positive effect of using Memo System was confirmed by study in 2010.